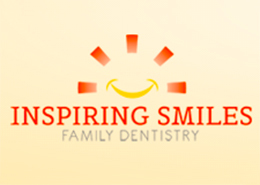 Since 1985, Dr. Anthony Toney has helped over 10,000 patients beautiful smiles through exceptional dentistry. 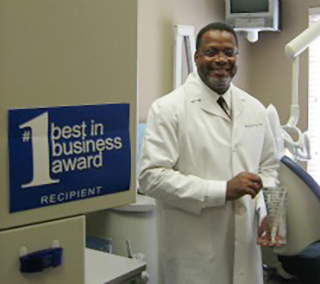 Dr. Toney earned his Undergraduate degree from Alabama A&M University and his Doctorate from the University of Medicine and Dentistry of New Jersey. He graduated with several awards including: Who’s Who, Kiwanis Outstanding Service, Outstanding Young Men of America, Black Achievement Award, New Jersey Board of Concern Citizens Award, Commonwealth Dental Society Award, Urial Gunthrope Memorial Award, and the James Bell Award. Upon completion of dental school, he was certified by the standards of the North East Regional and the Alabama dental boards. Initially, Dr. Toney practiced in Gadsden, Alabama at the J. W. Steward Clinic for 8 months. However, his true desire was to return to the Huntsville area, where he was born and raised, to open his own practice. On September 17, 1985, he realized his dream and opened the doors to his practice. American Dental Association, National Dental Association, Academy of General Dentistry, DOC (Dental Organization for Conscious Sedation), ICOI (International Congress of Oral Implantologists), Twenty Distinguished Men of Huntsville & Madison County (charter member), Leadership Huntsville, North Huntsville Kiwanis Club, Alpha Phi Alpha Fraternity, Psi Omega Dental Fraternity. Dr. Toney is married to Dr. Janice Draper Toney and is the proud father of three children, four grandchildren, and he has one son-in-law. When he is not spending time with his family and grandchildren, he is busy with his church. Dr. Toney is also an avid sports fan and enjoys working around the house, especially in the yard during Christmas time. He has also acquired a passion for the Wii game console. The key to keeping your teeth is keeping them healthy. Stopping problems while they’re small, and preventing serious concerns from developing in the first place. Our hygienist is very thorough, staying with the job until your teeth are clean and shiny. And our hygienist will carefully and patiently explain everything you need to know about any of the topics that pertain to your dental health so that you’re confident about maintaining your smile. Life often takes its toll on teeth, causing chips, fractures, breaks, or even tooth loss. Our approach to restorative care is to help you bring back a strong, healthy smile as soon as possible, then work with you to maintain its integrity over the long run. These days, a brand new smile can be made to order. And a brand new smile often results in a brand new feeling of confidence for the wearer. That’s why we offer a complete array of cosmetic services for our patients who want to enhance their smile. We’re convinced that certain new technologies can make our practice more efficient and effective. Especially when it allows us to analyze the inside of your mouth in more detail. That’s why we’ve invested in an intra-oral camera and extra magnification devices. We think you’ll agree when you visit, the more you see, the more you understand. And the more you understand, the better decisions you can make about your own dental health. Kemp’s Flooring John Maher Builders, Inc.